Our Top Selling Flight! A hot air balloon ride is definitely one of the Top 3 Things to Do on a visit to Cairns. Enjoy a scenic balloon ride over the scenic Atherton Tablelands. Meet us in Mareeba and take the rest of the day to enjoy all the Tablelands has to offer. Our most popular ride from Port Douglas. After the reef & rainforest, a hot air balloon ride from Port Douglas is absolutely, the next best thing to do. Your morning tour includes your Scenic Hot Air Balloon Ride and Door to Door return transfers. Double the enjoyment! Port Douglas Hot Air balloon tours depart daily and include door to door transfers from all Port Douglas accommodation. This tour includes a one hour picturesque hot air balloon ride with return transfers. Spoil yourself and surprise someone special. Let Hot Air pick you up for a Private Transfer to the ballooning launch pad then take off for a one hour Hot Air Balloon ride. Enjoy a gourmet breakfast on the beach with champagne. Includes personal photo portraits. For something different & unique for this special day, your driver is ready for your door to door Port Douglas transfer in our luxury vehicle to take you on an unbelievable romantic experience that you both will cherish forever. 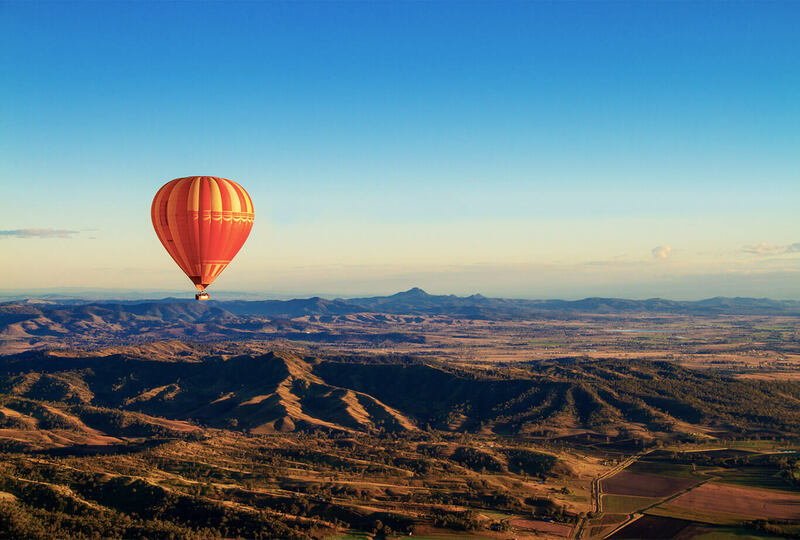 Float gently above the clouds in a hot air balloon while you witness the stunning morning views of the Atherton Tablelands as you pop the big question. After coming back to earth you will be treated to a gourmet breakfast and glass of sparkling wine to toast you unforgettable experience by tropical Palm Cove beach. On the day we take lots of photos and a set of portraits from your experience is available to download after your flight. Let our expert Hot Air team help you create this special experience today. Self drive package for extra savings for a Hot Air Ballooning, Kuranda and Skyrail package all in one day. Do you have a hire car or your own vehicle and are ready to experience a full day package including a Hot Air Balloon ride floating over the beautiful Tablelands, Skyrail ride to Kuranda, Free time in Kuranda to explore before catching the Kuranda railway back to Freshwater station with a coach drop back you the Skyrail carpark. 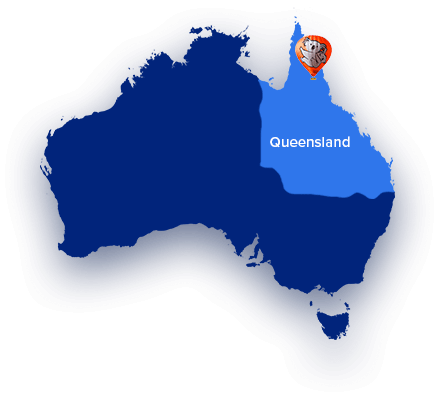 We have great combination package deals with tours to the Great Barrier Reef with Quicksilver and Kuranda tours including Skyrail and the Kuranda Scenic Railway on the same day in case you are short on time. .... Or come for a hot air balloon ride with us in the morning and relax for the rest of the day. We have information about a wide range of hot air balloon tours and other Port Douglas attractions and Port Douglas tours from this region.